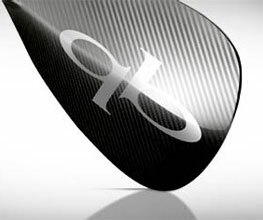 A Quickblade Paddle blade, with a unique design to achieve a clean and strong stroke for lightweight riders, up to 75 kgs. It is the ideal blade for waves and to get fast strokes. Its size and surface contribute to a reduced paddle weight. Meanwhile, you can take a look at all SUP Paddles.